Industry and we continue to explain the next set of acronyms through this blog. EHRI -Enterprise Human Resources Integration: US federal government’s human resource system that gets integrated with any federally deployed LMS. FISMA - Federal Information Security Management Act: An United States legislation comprehensive framework to protect government information, operations and assets in software systems including LMS. HCM -Human Capital Management: An old term for talent management. HRIS - Human Resource Information System: A software system that manages multiple human resource functions such as hiring, payroll, tracking employees’ attendance, etc. HRMS- Human Resource Management System: A combination of systems and processes that connects human resource management and information technology through HR software. ILT- Instructor Led Training: Any kind of training that occurs in a training room and can involve one or more instructors. Training is generally delivered through lectures, presentations, demonstrations, discussions, etc. L&D -Learning & Development: A department in an organization that usually owns and manages learning requirements, learning software for employees. LCMS- Learning Content Management System: A Software providing multi-user environment where authors, trainers, instructional designers, etc. 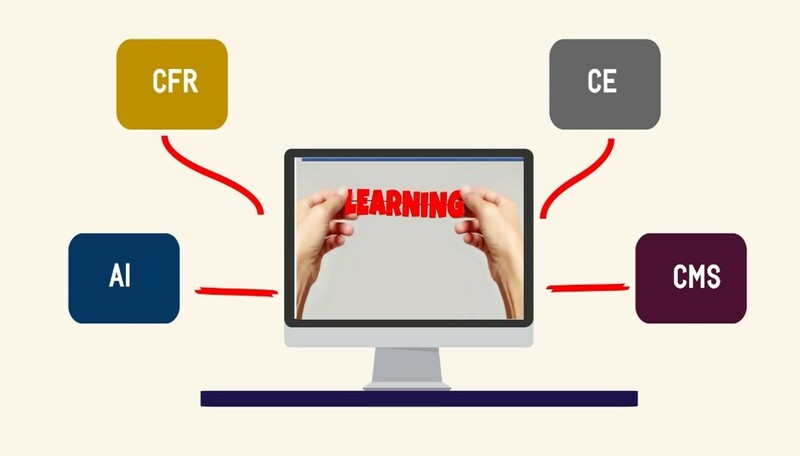 can create, edit, store, reuse, manage, and deliver e-learning content. LMS - Learning Management System: is a software application for the administration, documentation, tracking, reporting and delivery of e-learning courses or training programs. LRS- Learning Record Store: A data store system that stores learning records necessary for using the Experience API (xAPI) also known as the "Tin Can API. MOC -Maintenance of Certification: A mandated annual certification or training course that professionals in certain fields must take to keep an active practicing license. SaaS (LMS) - Software as a Service: Learning Management Systems that only exists in the cloud where IT infrastructure requirement is minimal or not required at all. SCORM -Sharable Content Reference Model: is a set of technical standards for e-learning software products. It helps in determining how online learning content and LMS communicate with each other. SSO -Single Sign On: A user authentication process that permits a user to enter one name and password in order to access multiple applications. For example, if an employee is logged in to a company’s computer network, he/she can also access their account in the LMS without another manual logging. Tin Can: The experience API (XAPI) is a new communication standard allowing for the tracking of all types of learning experiences in the LMS. Vilt - Virtual Instructor Led Training: refers to a training that is delivered in a virtual environment, or when instructor and learner are in separate locations.